Do you want to make profit with Facebook Advertising and to learn how to raise your audience within 2,27 billion monthly Facebook users, read on! The author of the book is a Social Media Marketing specialist with 5000 hours and 250k dollars experience in performing Facebook Advertisement and lead generation. The book will provide you with step-by-step guide that will help you to scale your business online and make it more profitable. Moreover, tips on operating the Ads effectively for your business will also be covered in this book. This will serve as a manual for you when you are performing your own digital advertising. However, the book will not cover several topics that are too complex to be discussed. 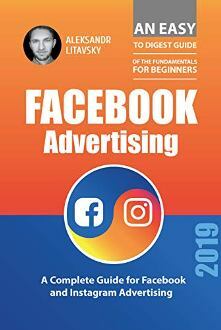 Since some of the settings on creating Facebook advertisement are too complicated, the book will only discuss the easiest and fastest of way making more profit for your business by using advertisement on Facebook. And all this you get for the price of a cup of coffee.